The job search can be a daunting task. You need to get your resume in front of the right people, prepare for the interview, and then, of course, make the right impression during the said interview. But even after you’ve forged through those stages of the job hunt, there’s still one important thing left to do: Write your thank-you letter. Why write a thank-you letter? 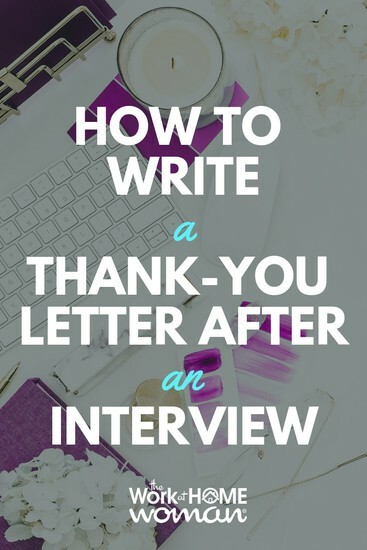 It can be tempting to skip the thank-you letter, especially if you’re confident that you crushed it in the interview. But 22% of employers are less likely to hire you if you fail to send one – even if they liked how you performed in the interview! Some employers use the thank-you letter as a vetting tactic; if there isn’t one, you don’t get hired. After all, how badly do you want the job if you can’t be bothered to send a short note thanking them for their time? Even if you made a killer impression in your interview, that doesn’t mean you don’t have competition for the position. Your thank-you letter is your last opportunity to tip the scales in your favor. Lastly, a post-interview note demonstrates a high level of professionalism. Here are a few best practices to make sure your thank-you letter seals the deal. 1. Don’t wait long to send it. Unless they told you they are only interviewing for sometime in the future, assume they are eager to hire as soon as possible. Most hiring managers needed help yesterday. Therefore you need to move quickly to stay top of mind and have your letter make the required impact before they hire someone else. Best practice is to send your letter no more than 24 hours after the job interview. Given that your thank-you letter is time-sensitive in most cases, sending it in an email usually makes the most sense. That said, there is something to be said about a handwritten or typed letter, as it’s less common and the extra time it takes you to send a hard copy letter will not go unnoticed. If you can deliver a hard copy letter there by next day, you can consider this option. Otherwise, stick with email. Three or four short paragraphs should be plenty if you’re concise and strategic. Your potential employer is busy, and if they see a wall of text, they’re simply not going to read it. No matter how prepared you are for an interview, we’re all human and make mistakes. If you regret the way you answered any particular questions, your thank-you letter is an opportunity to recover with flair. Avoid saying sorry unless you’re positive it was something for which you need to apologize. (Like if you committed the cardinal sin of showing up late to your interview.) It’s easy to be overly critical of yourself, but apologizing for things that can be chalked up to nerves can make you seem less competent. 5. Remind them of who you are and why they should hire you. Sometimes a business will interview dozens of people for the same role, so jog their memory as to who you are by reminding them of the time and date of your interview. 6. Show that you listened. Your interview is just as much your chance to learn more about the business and the people who are hiring you as it is for them to learn about you. Show them that this isn’t just another job you’re applying for by referencing specific company goals that were mentioned during the interview. 7. Include your contact info in your signature. This seems obvious, but it’s important to include your contact information in your signature. You want to make it as easy as possible for the hiring manager to get a hold of you and offer the job! 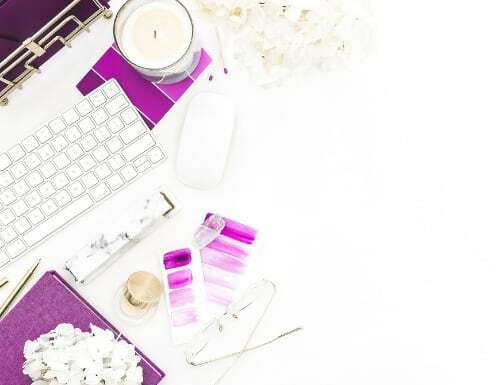 It can take a little practice to write the perfect thank-you letter for your interview, but the fact that you even wrote one puts you ahead of most competition. Thank you for taking the time to meet with me on [interview date] to further discuss the [job title] role in your business. I enjoyed learning more about [business name] and your plans to [company goal]. I'm excited to be considered for the opportunity. I am enthusiastic to branch out into this side of [business’ industry] and bring my experience in [relevant skill] to the team. Thanks again, and I look forward to hearing from you. If you need any further information, please do not hesitate to contact me either by email or at my mobile number below. Do you send a thank you letter post interview? If so, was in digital or paper format? What was the outcome? Drop us a note; we'd love to hear from you! If you enjoyed this post — please share it on your favorite social media site.